A majority of Seattle City Council members want to ask the state to allow for local rent control, but it won’t reach tenants any time soon. Conventional wisdom says Seattle officials won’t be able to enact rent control anytime soon, because the Washington Legislature would first have to overturn a ban in effect since 1981. 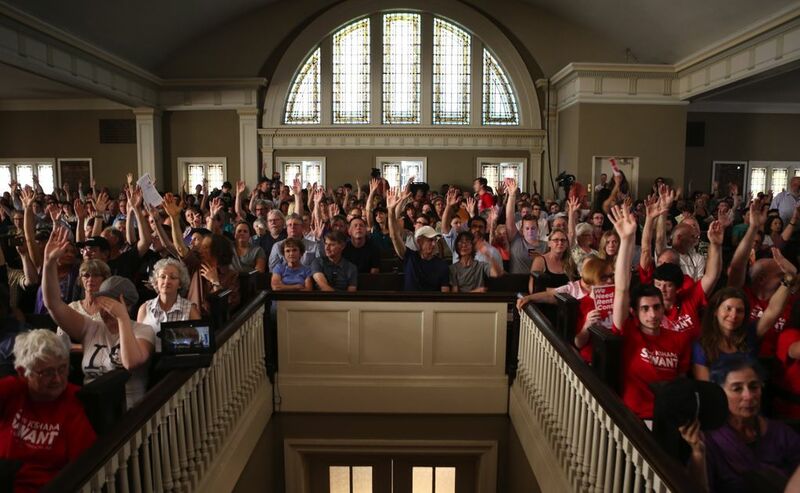 But that didn’t stop about 1,000 people from squeezing into a sweaty First Hill auditorium last week for a two-hour Town Hall debate about whether the controversial policy has helped other cities and whether it would work here. Component post 9700878 could not be found. That’s because steady rent increases across the city and steep rent hikes for some have left many tenants desperate for relief. 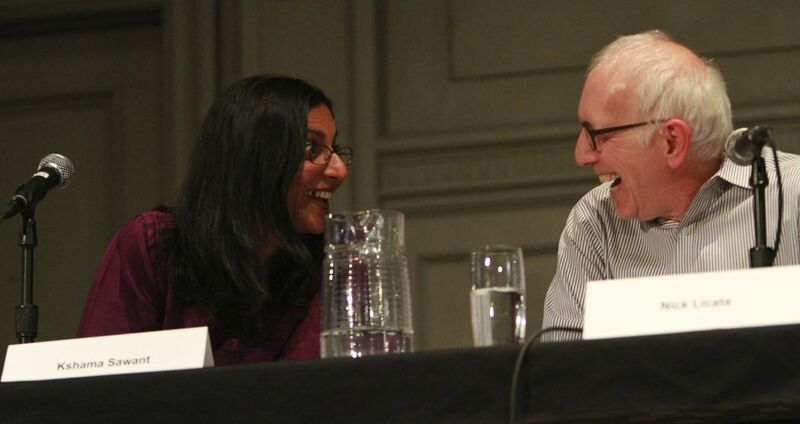 City Councilmembers Kshama Sawant and Nick Licata argue rent control can provide that relief, while critics say the policy is good for no one. The discussion will continue in the council, where Sawant and Licata introduced a resolution in June asking the Legislature to repeal the ban, which prohibits cities from enacting any rent regulations, including rent control. Five of the council’s nine members — also including Jean Godden, Bruce Harrell and Mike O’Brien — have expressed support for lifting the ban, if not necessarily for rent control itself. But Councilmember John Okamoto, who chairs the council’s housing committee and who doesn’t support rent control, says he won’t take up the bill until September. Okamoto initially shelved it because he wanted to hear first from Mayor Ed Murray’s Housing Affordability and Livability Advisory (HALA) Committee, he says. The panel released its recommendations July 13, declining to endorse rent control. Sawant and Licata are getting restless. They’ve discussed the possibility of asking the council Monday to move the bill into a committee Licata chairs. If the council were to pass the Sawant-Licata resolution, the route would lead next to Olympia, where the 2015 legislative session recently ended. State Sen. Pramila Jayapal, D-Seattle, says she would sponsor a bill in the Senate and believes “there are folks in the House” who would do the same. But renter-friendly Rep. Brady Walkinshaw, D-Seattle, says he’s not ready. Repealing the ban would probably require bringing other Washington cities on board, Jayapal says. Another option would be an exemption for Seattle. “We would have to make the case that this is all about local control,” she said. House Speaker Frank Chopp has said he favors doing away with the ban. But Chopp, D-Seattle, also has said he isn’t sure city officials actually want rent control. The ban was enacted the year after an unsuccessful 1980 campaign for rent control in Seattle, Chopp has pointed out. He didn’t return requests for comment last week. 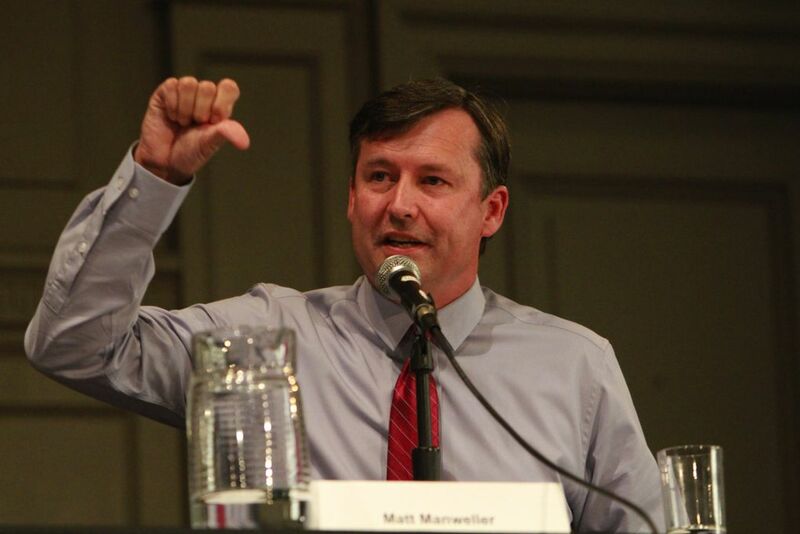 The Town Hall debate, pitting Sawant and Licata against state Rep. Matt Manweller, R-Ellensburg, and developer lobbyist Roger Valdez, resembled a re-election rally. Some audience members wore red Sawant T-shirts, and campaign volunteers worked the doors. But the energy in the room wasn’t generated by political hype alone. 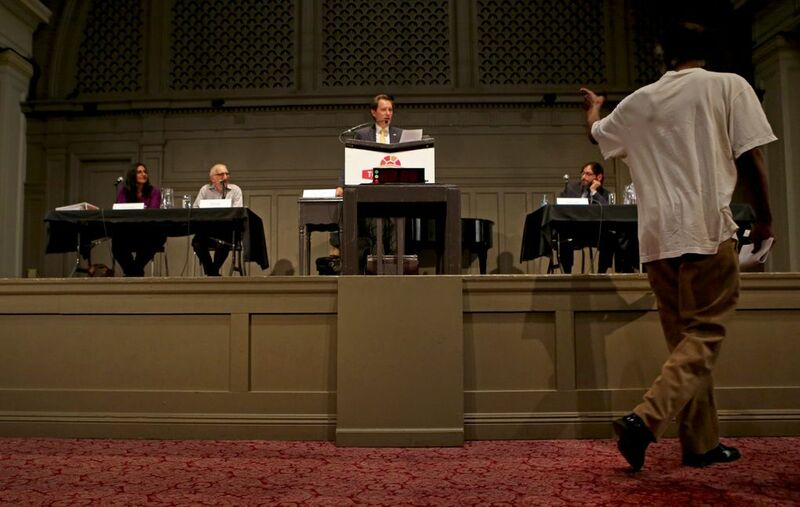 The debaters all agreed Seattle is experiencing a housing-affordability crisis. What they disagreed about was how best to solve the problem. Manweller painted a nightmarish picture of rent control, linking the policy to both stratospheric housing costs in present-day San Francisco and dilapidated housing in 1960s New York City. New York City has two types of rent regulation. Rent control sets maximum rents for about 27,000 units in very old buildings where renters have lived for decades. Rent stabilization covers about 1 million units built before 1974, and protects tenants from sharp rent increases through limits set annually by the city. Households in New York City rent-controlled units had a median income of about $29,000 in 2013 and paid a median monthly rent of about $900. Those in rent-stabilized units made about $40,600 and paid about $1,200. Those in non-regulated rentals made a median $58,000 and paid about $1,500. San Francisco has rent control, generally for units in older buildings. Rent-increase caps are set annually according to a consumer-price index. Some critics say restricting what property owners can charge discourages — or does nothing to encourage — new housing, which they argue is the key to lower rents citywide. “If we were running low on bread we’d call for a program to bake more, not impose price limits on the few loaves we had,” Valdez said during the July 20 debate. There’s also the fairness critique: Rent control helps some people while leaving others on their own. “Rent control simply does not deliver what it promises — lower overall housing prices,” Valdez said. 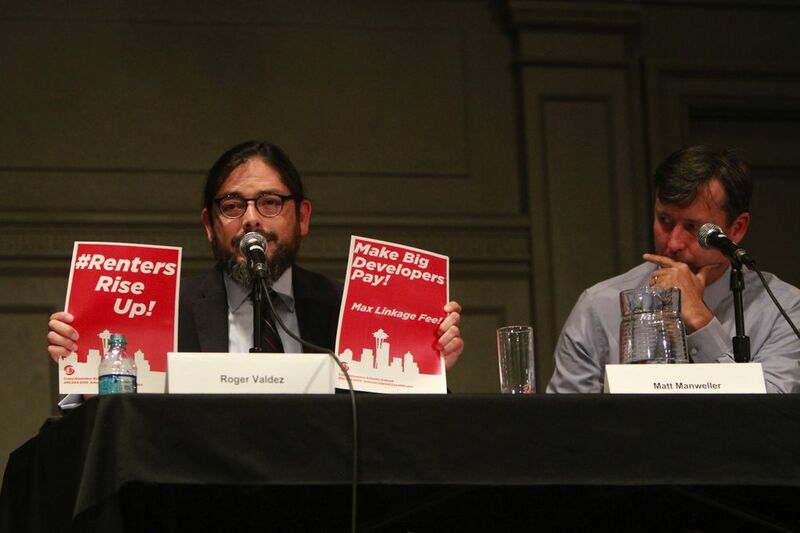 But Sawant and Licata say rent regulations don’t inevitably dampen housing production. Rent control and stabilization in New York City and rent control in San Francisco generally don’t apply to newly constructed buildings, for example. What curbs housing growth is restrictive zoning, Collins says, noting that housing markets even without rent regulations are distorted in other ways, sometimes benefiting landlords. 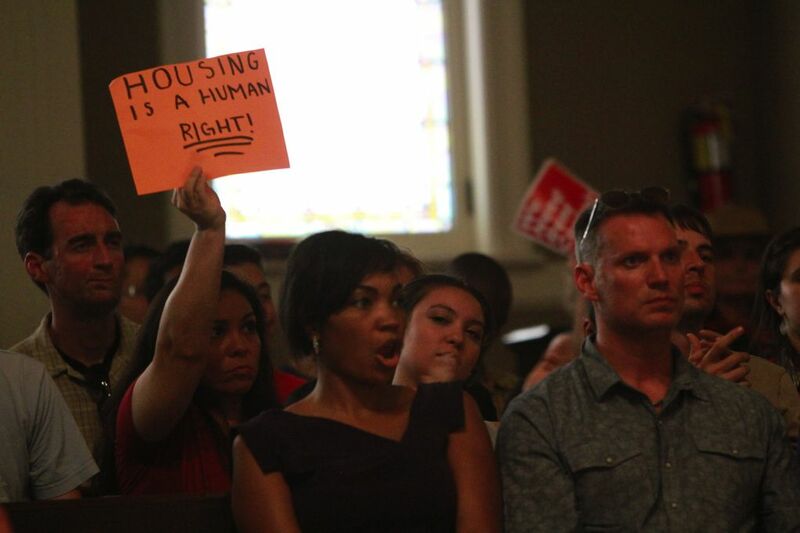 Even Valdez admits rent control can help some tenants in the short term. But detractors say there are long-term consequences, such as cities losing affordable housing. Janan New, director of a San Francisco trade group for property owners, says rent control in her city has caused some landlords to convert rental buildings into condos. “The property owners are subsidizing the tenants to such a degree that it doesn’t make economic sense to continue doing that,” New said. Tommi Avicolli Mecca, a tenants advocate in San Francisco who credits rent control for keeping artists and immigrants in the city, agrees that condos are replacing affordable rentals. But he blames California’s Ellis Act, which allows landlords to evict tenants in order to convert rent-controlled buildings into condos. “The Ellis Act is a scam,” he said, describing it as a loophole in that city’s rent-control system. Murray and the HALA Committee have proposed a new inclusionary housing program, which would require builders to cap rents for some new units in return for upzones. That’s the trend in cities across the country, says Lisa Sturtevant, vice president for research at the Center for Housing Policy in Washington, D.C. “The only major way to increase affordability is to build more,” she said. Sawant doesn’t necessarily disagree with that point. She says rent control is one strategy among many, including more housing, that Seattle should pursue. But she insists rent control is still relevant. In 2008, California voters rejected a proposition that would have banned rent control, and in 2009, a Los Angeles study recommended the city retain its rent-stabilization system, Sawant noted. This month, she pointed out, the City Council in Richmond, Calif., home to about 100,000 people in the Bay Area, passed a new rent-control law.